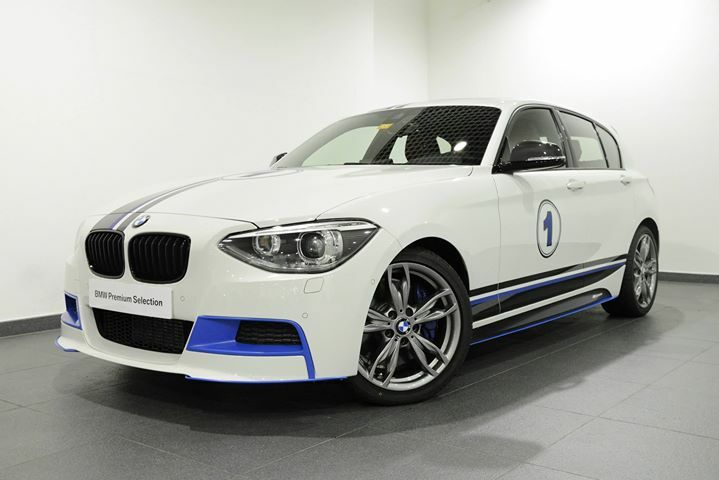 M Series has remained always in great demand at Abu Dhabi, that’s why to give the audience of 1-Series a feel a cool new ‘M’ during the summer – the BMW Abu Dhabi Motors has launched a special M135i for them. Under the hoods remains a 3.0-liter six-cylinder engine delivering 320hp (235 kW) and a peak torque of 450 Nm (332 lb-ft) passed on to the rear wheels. The “xDrive” badge can also be spotted at the back. Its 0-100 km/h (0-62 mph) zest can be completed in 4.9 seconds, while the electronically-capped top whack can be clocked till the 250 km/h (150 mph) mark. 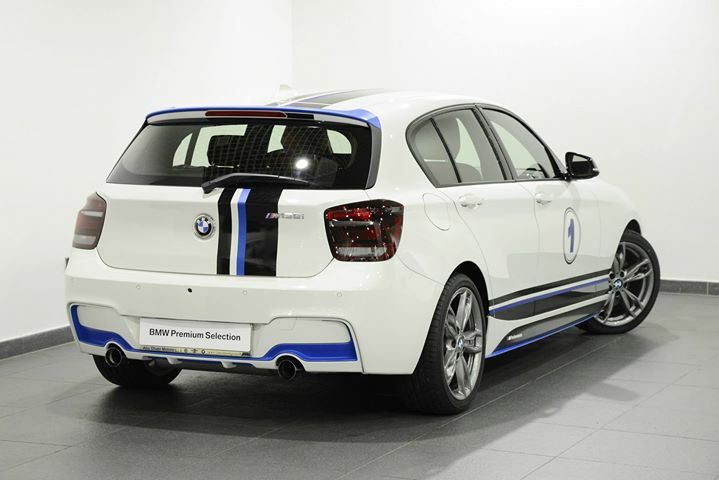 The special M135i is done with a clear cosmetic makeover that has been drawn on the canvas of while paint shade, with blue (and dark blue also) strips running across the body for contours. One outers, it clearly reclines itself from the M-Series repertoire with the details covered extensively. 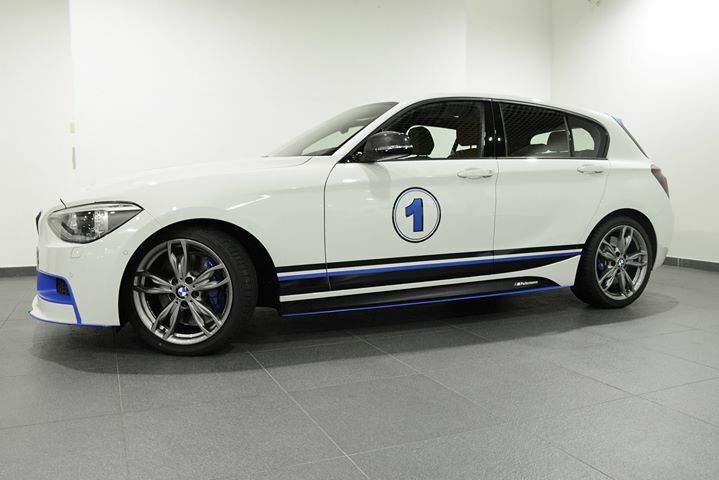 As the images are uploaded by BMW Abu Dhabi on its Facebook page, price was not yet reveled at the time of writing.